It feels like it's really been a while since we've gotten an ancient warfare miniatures release on here. That changes with the release of Storm of Spears, a new set of miniatures rules for playing games set in 431-360BC. Grab your round shield, your pike, and your helmet, and hit the field shoulder-to-shoulder with your brothers in arms. Storm of Spears - Rules for Hoplite Warfare 431-360 BC Here`s the description of the rules download package for my hoplite warfare game, Storm of Spears... There`s a 99-page rulebook with 80 colour photos and illustrations of the rules and playing aids. Storm of Spears is designed to handle the major battles of the period and allow for some subtlety in the use of tactics in those battles too. There's provision in the rules for deep file formations, impetus in the charge, slow intimidation advances, drifting, and use of close and open order for hoplite phalanxes. In addition, there are optional rules for pre-battle speeches and stratagems - Storm of Spears will give players enough to think about in a game. 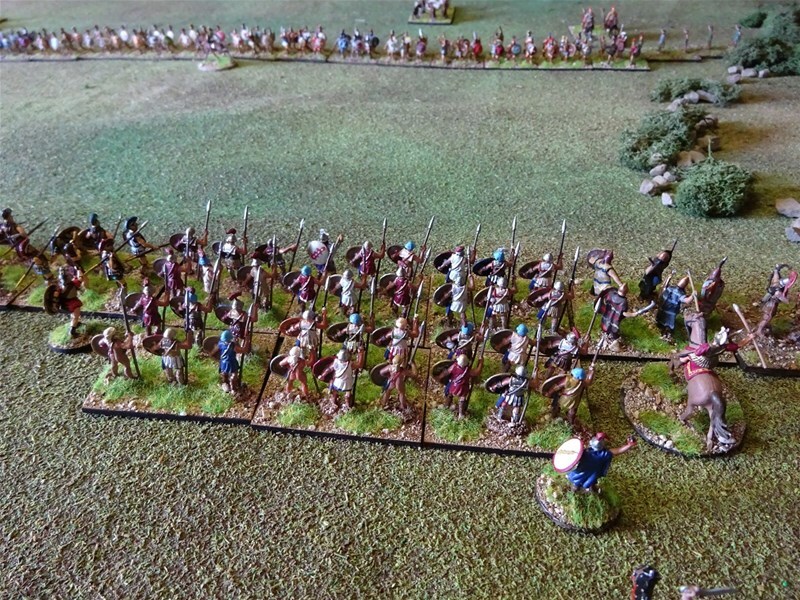 A scenario booklet of 7 historical battles (Delium, 1st Mantinea, 1st Syracuse, Nemea, Coronea, Leuctra and 2nd Mantinea) and terrain generation rules. 56 pages with 19 colour photos showing deployments and terrain. There is an introduction to the war, or the campaign in which each battle takes place with notes on terrain (illustrated with photos) with the historical conditions and some alternative scenarios. The orders of battle are in some cases variable where there is some doubt about numbers of troops or if the presence of specific troop-types is not known. The terrain generation rules utilise simple six-sided die rolls and allows players to set up casual games quickly. Orders of battle booklet with 46 orders of battle for campaigns and battles between 431 and 360 BC involving; the Greek states, Syracuse, Carthage, Rome and the Etruscans, Cyrenians and Illyrians. Along with the orders of battle booklet there are 84 generals` ratings from: Athens, Carthage, Rome, Sparta, Syracuse, Thebes and other city-states. Generals ratings are provided for use in solo play and in one-to-one games with live opponents. Three 7-page quick reference booklets for 30mm, 40mm and 60mm base widths are provided. Most of the game rules in a small playsheet/booklet. In three base width sizes, these booklets are designed to allow players with different base sizes play the game with ease and hopefully without rebasing their armies. Throughout the rule book measurements are given in base widths, base depths and in three game base widths (30mm, 40mm and 60mm). Stratagem cards add 25 major historical stratagems, deceptions and tactical ploys to the game to provide interesting challenges to players` in their games. These are suited but not limited to solo play. The stratagems are adapted from those described in the work of Frontinus and Polyeanus. Game markers and reminder cards are supplied for players to print, glue and possibly laminate. There are markers for disorder and morale, close order, half-files, skirmisher hit markers, reminder cards about effects of the optional pre-battle speech rules and orders cards. Format: pdf download. Cost: £15 This will be available from the Grand Manoeuvre website shop at 12 GMT, on Saturday, 8th December 2018.